Is Royal Jelly Safe for Children? 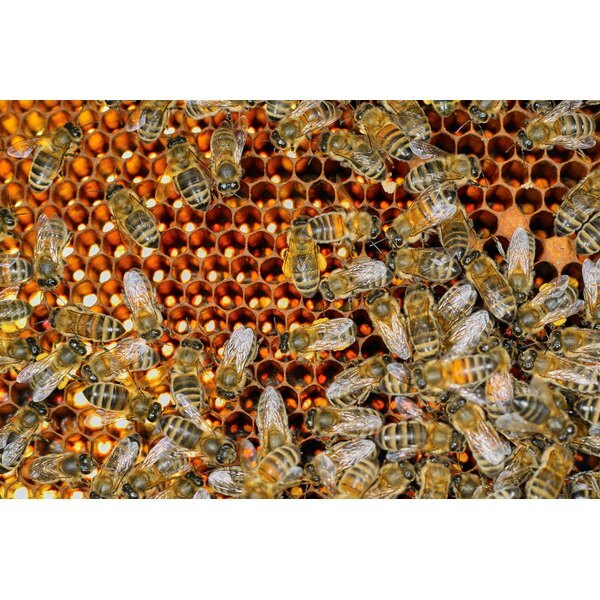 Royal jelly is a secretion that bees feed to some larvae to spur them to develop into queen bees. Many people eat royal jelly without experiencing negative side effects, but some have allergic reactions. Effects might include bronchial spasms, skin irritation and asthma attack. In extreme cases, people experience severe anaphylactic shock, which can lead to death. Due to the potential risks, small children, pregnant women, immunocompromised people or anyone with bee or honey allergies should not eat royal jelly, according to the Health Services website of Columbia University. While it’s not certain that people in these groups will experience negative symptoms after eating royal jelly, the potential risks outweigh any benefits. Another reason not to feed children royal jelly is that it might offer no benefits. Purported benefits of royal jelly include enhanced immunity, prevention of arthritis and multiple sclerosis, lower cholesterol, improved bone healing, reduced signs of aging and others. Many of these conditions are unlikely problematic for a typical child. Further, the university says no conclusive evidence exists to support claims that royal jelly actually provides any of these benefits. Royal jelly does contain some beneficial ingredients, such as proteins, lipids, carbohydrates and B-vitamins, according to the “Practical Guide to Natural Medicines.” However, the guide points out that cheaper options exist for obtaining these nutrients, not the least of which is a healthy, balanced diet. If you’re worried about your child’s nutrient intake, talk to a pediatrician or nutritionist to find healthy foods that supply nutrients rather than feed your child royal jelly or other unproven supplements. Suitable sources of B-vitamins, for example, are leafy, green vegetables, which don’t have an accompanying risk of severe allergic reaction. Also, leafy, green vegetables supply other healthful nutrients, such as fiber, that benefit your child. If your child’s pediatrician recommends it, you also can supplement your child’s diet with an appropriate multivitamin.